At the moment I’m busy participating in this year’s A to Z challenge on my Tropical Territory blog, but I couldn’t resist posting on this week’s Sepia Saturday. Over the years I’ve photographed many castles but this is one we visited on our 2010 trip overseas. I’m not sure how well known it is, we certainly hadn’t heard of it before. Herstmonceaux Castle is a moated castle with wonderful grounds and gardens which their website describes as Elizabethan though apparently the site pre-dates that significantly as there is “evidence of prehistoric and Roman remains” and the name is derived from “the marriage between a Saxon lady Idonea de Herst and a Norman nobleman Ingelram de Monceaux”. It was mid-October when we visited and fairly late in the afternoon so the place was closed with not much happening but that didn’t matter because the grounds were so enjoyable. 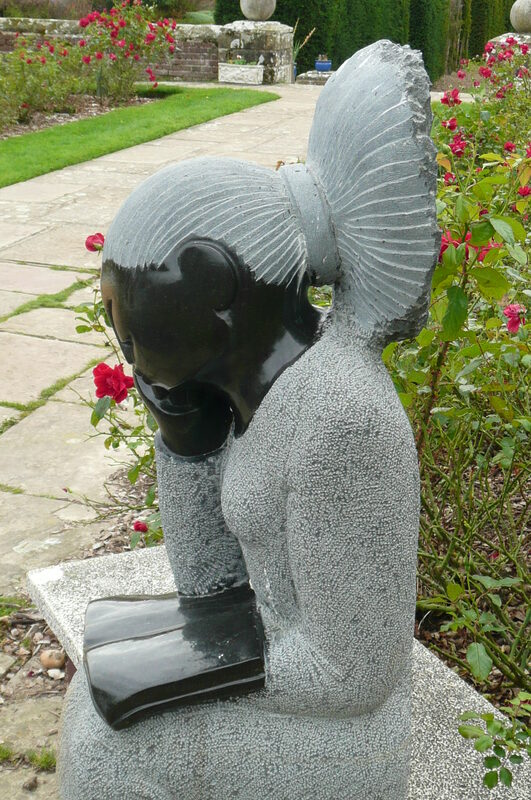 We were especially taken by the diverse sculptures in the gardens, many with African influences which did seem rather strange in the context albeit impressive. Even though it was well into autumn there were still some flowering plants to admire as well. If we were visiting in the region again it would be worth seeing in a different season. 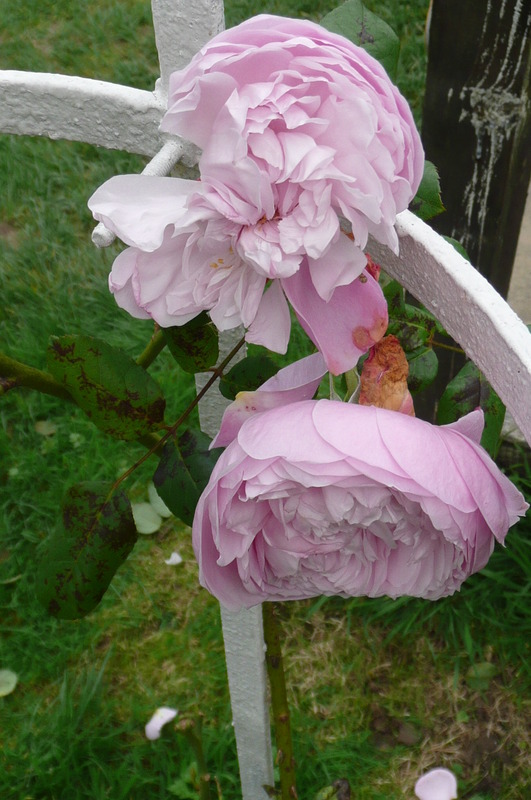 Have you ever visited Herstmonceaux? What were your favourite parts? This entry was posted in Sepia Saturday, Travel and tagged gardens, Herstmonceaux Castle, Sepia Saturday by cassmob. Bookmark the permalink. I’ve never visiting any castle, hence my absence from SepiaSaturday this week. That and I am worn out from the A-Z challenge! I wonder about the statues and the gardens look lovely. I should have visited a castle while in Norway. If only I had known this challenge was coming up! If only Kristin 😉 No wonderf you’re tired…your A to Z work has been demanding, and as always, impressive. Completely agree about Kristin’s A-Z – I am still to comment, but you have written some wonderful posts. It looks like a lovely place to visit…so many places, so few lifetimes! I can see the African influence in the sculptures – interesting, and I too wonder why. I’m sure there must be a reason Gluepot but don’t know what & probably no longer had any flyers we might have picked up at the time. I’ve never visited this particular castle but I’ve always known about it because the Royal Observatory used to be housed there. 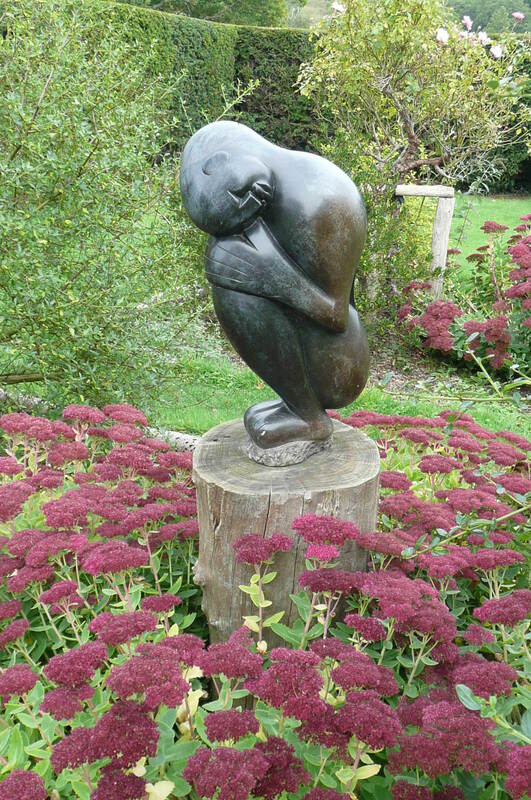 I’m glad you were able to wander the grounds, the sculptures are lovely. Ah, that sounds faintly familiar -we must have read that at the time. We really enjoyed the gardens. I didn’t know that Bob…perhaps I shouldn’t revisit it after all 😉 Hope you’re enjoying A to Z.
Lovely images Pauleen! 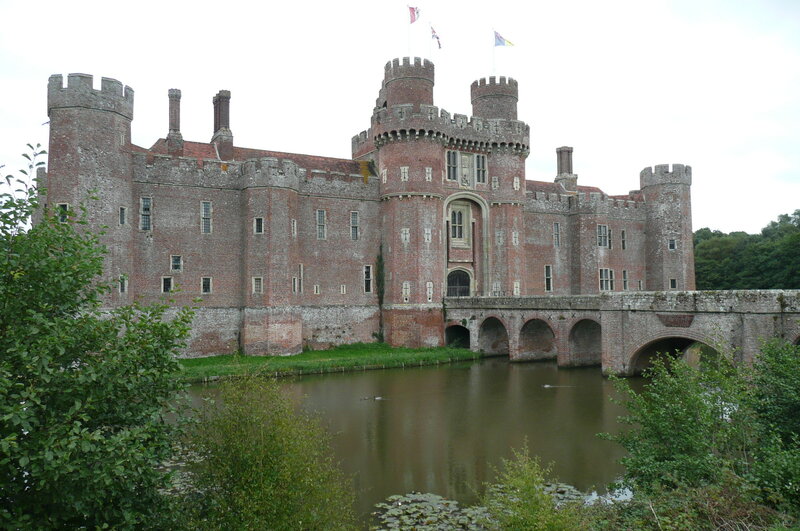 I’ve never been to Herstmonceaux, so the image of the castle is a real treat, not only because it is beautiful, but because I love a castle with a moat. My mom used to go on holiday to Kent with the Barnwell branch of her family, and spoke of having visited castles in the area. I’m going to have to search through her photos to see if I can find any of this one. Nice post Pauleen – never ever heard of this castle, although I lived not far away for many years! 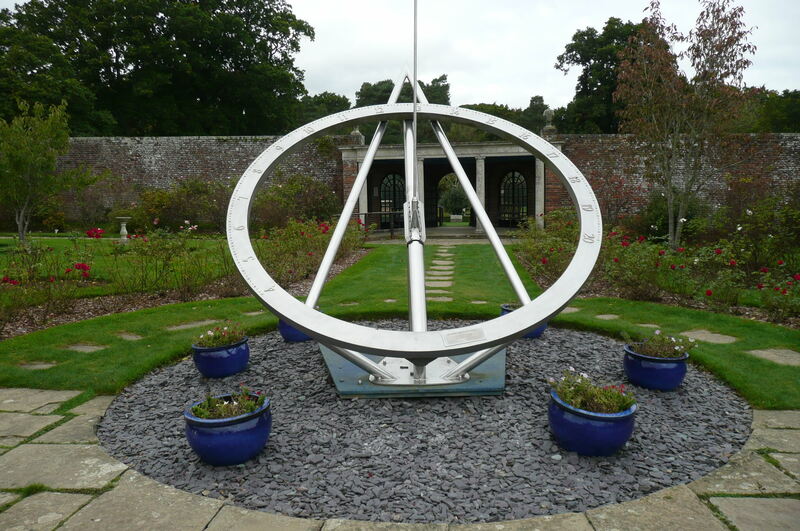 I always think of the Royal Greenwich Observatory when I hear of Herstmonceaux. I did not know it had such a wonderful castle too. But I have never been to either. Kent is a county we are always rushing through on the way to the channel ports ! Yes we have places like that Nigel where we really should stop to visit…perhaps next time you’ll be tempted to have an overnighter. I had forgotten about the Observatory until Little Nell’s comment but remembered when prompted. That’s a nice looking castle. Even by the late 12th century, the very few remaining Saxon noblewomen (an endangered species due to the post-Conquest mass confiscation of all Saxon lands and the forced exile of Saxon nobility to places like Scotland, Denmark and Constantinople) would still have borne Saxon names such as Ealdgȳð, Elfleda, Godeleva and so on. Saxon names were rapidly fading into extinction but were still used by older, more conservative English people. Idonea is a pure Latin name introduced by the Normans – it means “fit, suitable, able” and was certainly not a name ever used among the English nobility before or after the Norman Conquest. It has parallels in other Norman/Latin female names like Constance, Amicia, Benedicta and Felicia. The “de Herst” element is without any doubt a Norman family name of the same locative nature as de Monceux, de Mandeville, de Saye, de Morville and de Clare; no Saxon names ever included surnames/family names of this kind. The lady Idonea de Herst was in reality the granddaughter of Juliana de Waleran and a close relative of William fitzRobert de Hastings. Her Norman pedigree is absolute and undeniable. I am unable to discover who first spread the misinformation of Idonea as a Saxon lady, but it was certainly someone who had no knowledge of history, genealogy, linguistics or 12th century English social structure. Thanks for clarifying this for us all David -I was simply using the blurb I had. It’s helpful to have more accurate information.